Make a cool robot and imagine what it could do for you! Will it fold your socks? Help you with your homework? Throw a ball for your dog? 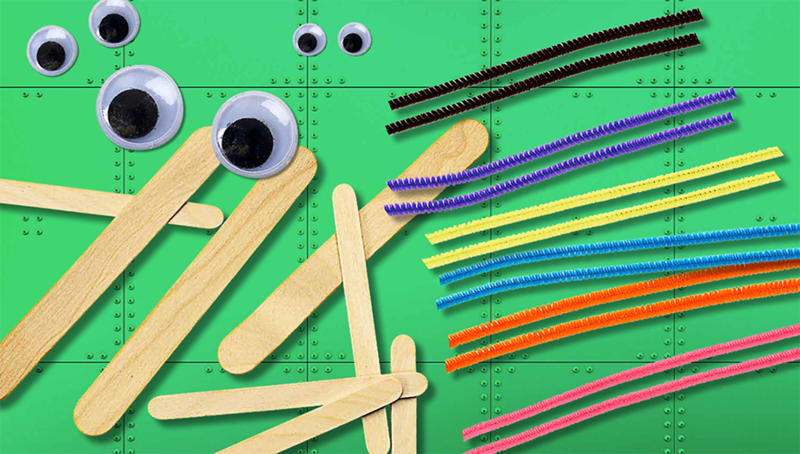 You can make your machine using craft sticks, wiggle eyes, and chenille sticks. We can’t wait to spot your awesome bot! Send us a photo of your robot and tell us all about it! What does it do?